Patients are being released from hospitals much sooner than in the past. This presents new challenges for skilled nursing centers and home health agencies to treat high-acuity patients who still need near hospital-level care. The caregivers that are best equipped to handle these patients are the ones that have strong medical direction and a support system in place to provide a high level of care, no matter the circumstance. Acute Rehab Medicine Specialists (ARMS) is a group of multi-specialty medical providers who are experienced in high-acuity inpatient care and are dedicated to extending high-quality care to the post-hospital setting. From the hospital to the acute rehab facility and beyond, the physicians and nurse practitioners at ARMS help patients transition through varying levels of care on their road to recovery. 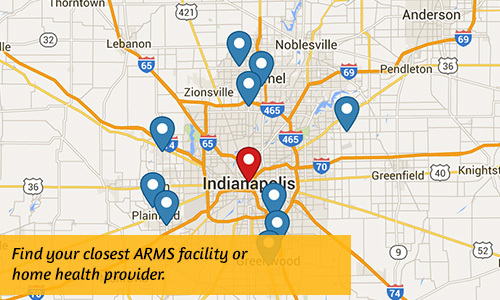 ARMS delivers high-quality care by partnering with a variety of partners and facilities, from skilled nursing facilities and rehab centers to behavioral health, where the medical providers provide medical care and consultation. The result is an extraordinary level of involvement, and commitment, previously unheard of in post-hospital care.